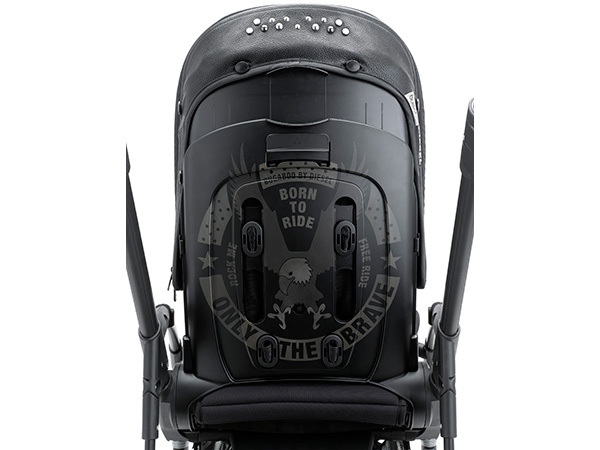 Bugaboo by Diesel Rock Collection - long live rock and roll! Bugaboo by Diesel Rock Collection – long live rock and roll! A perfect collaborative match the past three years, Bugaboo is thrilled to announce the final collection with lifestyle brand Diesel. Not content with strolling the streets in style, Bugaboo and Diesel will see to it that you’re absolutely rocking those footpaths! Hot on the tails of Military and Denim Bugaboo collections, this final release taps into the very root of Diesel’s style, Rock. Be prepared to be stopped on the street with this lusty pram. Every bit the rocker, this is one daring ride that’s sure to turn heads. 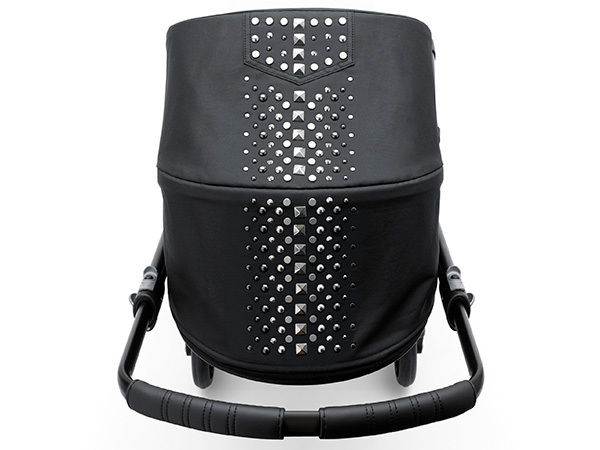 A completely black stroller, complete with leather look handlebar and fistfuls of decorative studs thrown in for good measure, the Bugaboo by Diesel Rock Collection is the ultimate choice for parents who like to rock it out in a crowd. Rebelling against all things pretty, this sleek ride sports a black anodised chassis, Diesel wheel caps and a backrest tattoo emblazoned with Diesel’s famous slogan Only The Brave. Indeed, this is one ride not for the faint of heart but for those with a heart for fun – and rock ‘n’ roll. 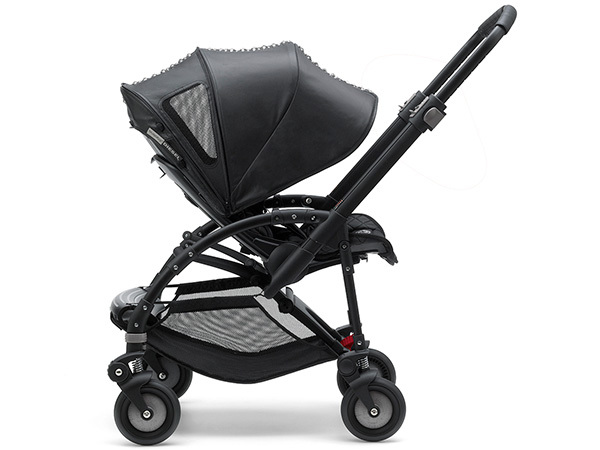 This special-edition comes as a complete Bugaboo Bee³ stroller, priced at $1199, a Bassinet Tailored Fabric Set for the Bugaboo Bee³, priced at $200 and finally, a Bugaboo by Diesel Footmuff priced at $250, letting you give any Bugaboo pram a rock star makeover. 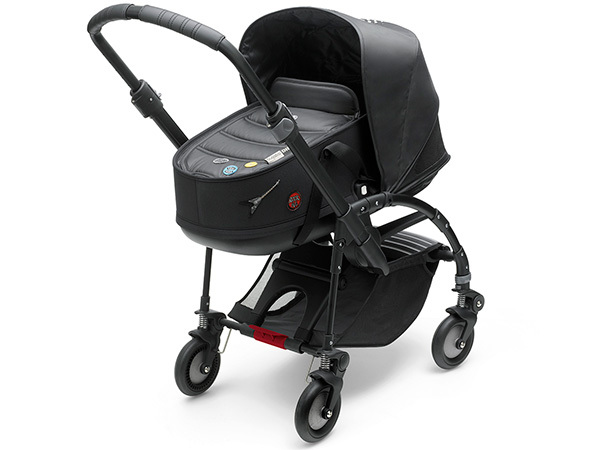 For more details on this special edition pram, dance on over to Bugaboo.